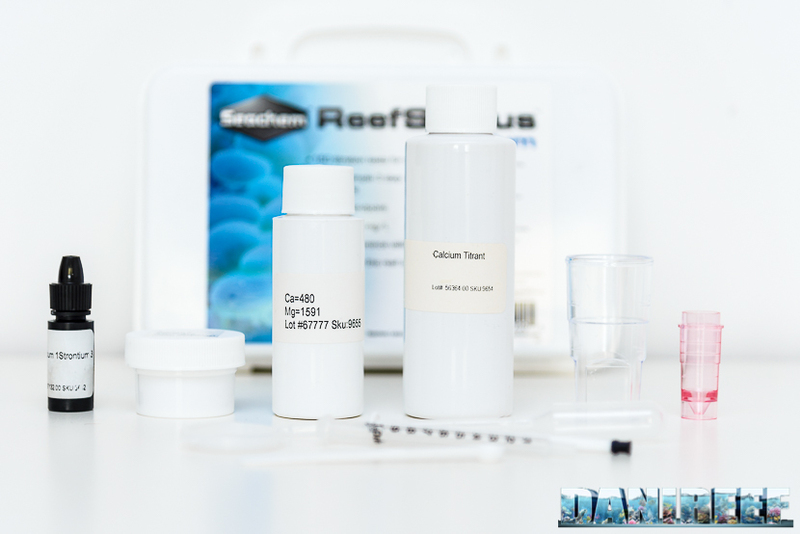 Over the next few weeks, we will present to you and discuss in detail every single test from Seachem; today we will start with the most fundamental one for marine aquariums, Calcium. 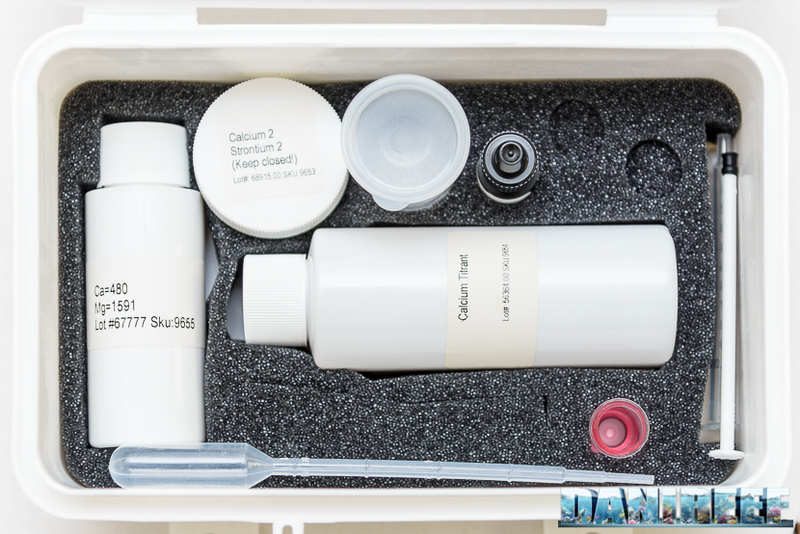 As you can see from the picture above, the test kit comes in a large, high-quality plastic storage container, and consists of the following: a bottle called “Calcium 1 Strontium 3“, a vial called Calcium Titrant, a container with reagent powder “Calcium 2 Strontium 2“, a small pipe, a 1 ml syringe, a spoon, and two transparent plastic containers, one with the cap and one pink. This is a well-made product, and the price reflects that – 69,90 euro ($79 US). 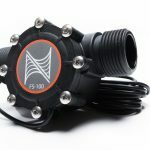 There is also a container filled with a solution of 480 ppm calcium and 1591 ppm magnesium. 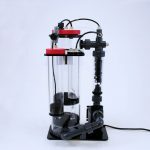 , which can be used to test the accuracy of the test, especially as the test becomes older. 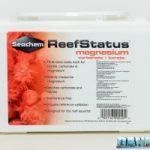 We don’t need the magnesium for this test (and it doesn’t affect the results); my guess is that they prepared a single solution that can be included with more than one ReefStatus tests. 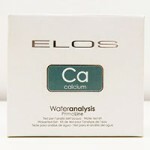 The test’s resolution is very high – 5 ppm, in comparison, the Elos test kit has a resolution of 10 ppm. Inside the container is a foam insert that securely holds all the components, so they can’t move around and crash into each other. The test is very laborious, and can take much longer than other similar tests, though it does go quicker if the measured value is accurate. 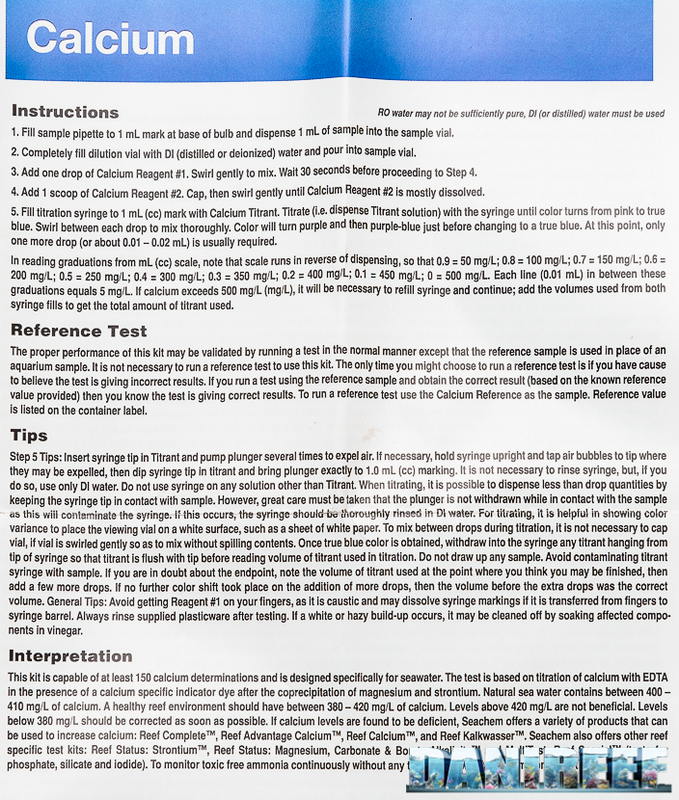 First, you fill the pipette to the 1mL mark at the base of the bulb and dispense into the large, transparent container. (in my opinion, a syringe would be much easier to use) Next, fill the small pink container with distilled water, and empty into the transparent container. Add one drop of reagent “Calcium 1 Strontium 3” to the container and stir gently for 30 seconds. Add 1 scoop of reagent powder “Calcium 2 Strontium 2” to the previous solution, close the container, and shake gently until the reagent is almost completely dissolved. Plus (of course) all the intermediate scales. The reference card does not have a color scale; it’s a tritrimetric test, and there are no predetermined values. As you can see the difference with Triton is just 2%, and with Fauna Marin is just under 8%. This is almost a perfectly accurate test. 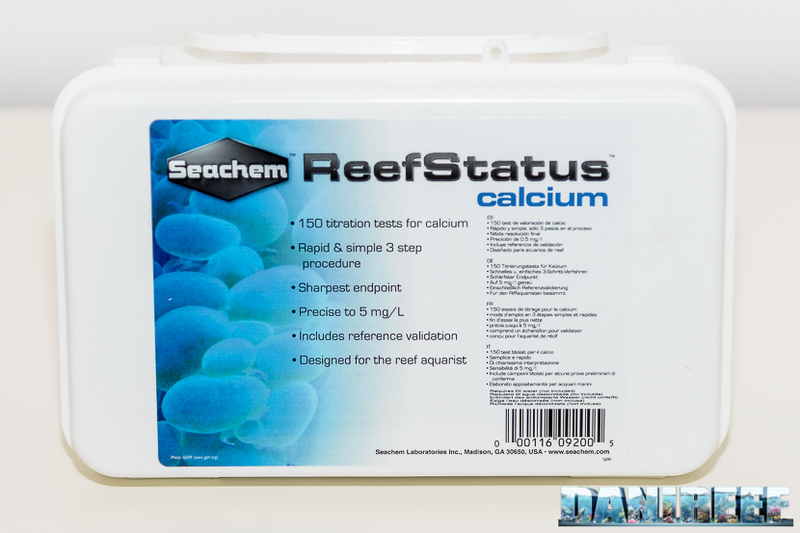 Pictured below are the Seachem calcium test instructions: We didn’t find an expiration date, and all reagents are numbered with their lot number. I always recommend using up a test kit within 6 months, as incorrect storage can lead to incorrect results. 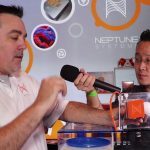 Visually evaluate your aquarium on a regular basis, do not rely only on tests; and if your test results seem to be wrong, re-test with a different brand before making any big changes to your routine. 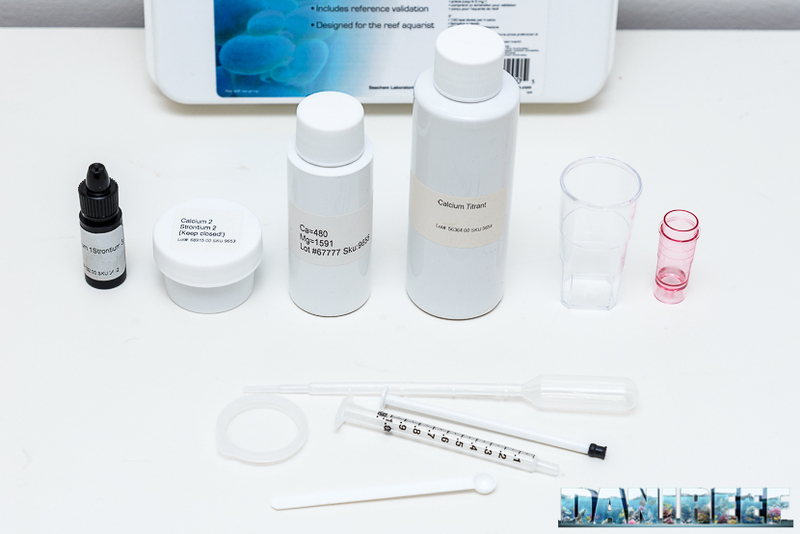 The test can potentially be used for over a year, though you will need to perform not only the calcium test proper, but also the water validation test, which will ensure accuracy but use up twice the amount of reagent.